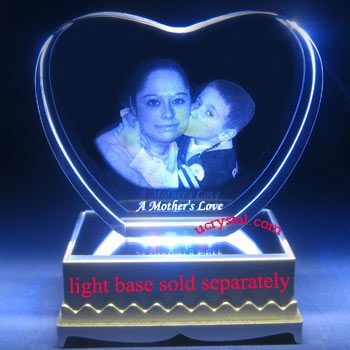 Oval-shaped, beveled edge personalized photo crystal. 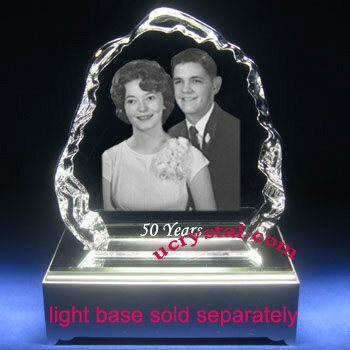 This unique photo crystal will hold your treasured memories and special moments for years to come. 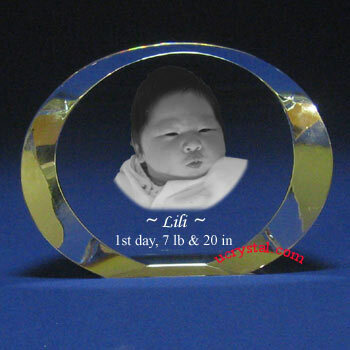 The example on the left is an engraved image from the lovely baby’s first day. 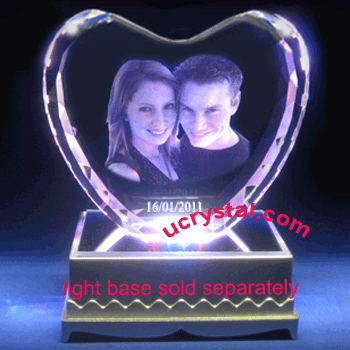 Lili’s parents will not only cherish the beautiful laser engraved photo crystal, but it will also accompany her for a lifetime. 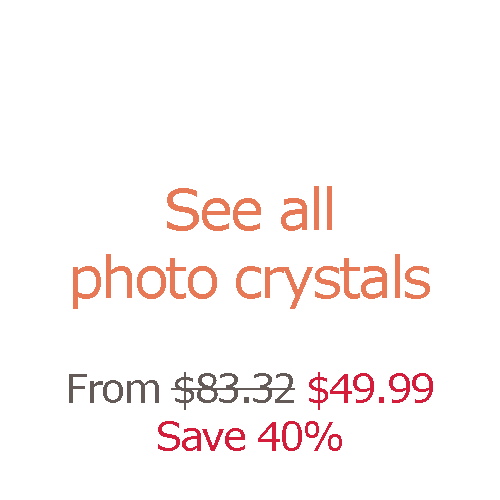 There is no better way to capture these cherished memories of a happy childhood. 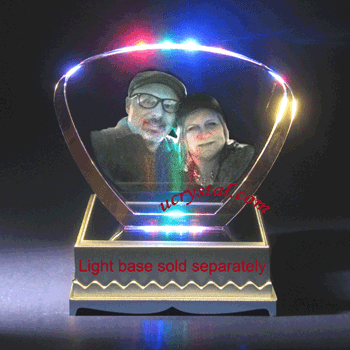 Additionally, this oval crystal is also great as personalized photo crystal gifts for Christmas, wedding anniversaries, Valentine’s Day, birthdays, and other occasions. 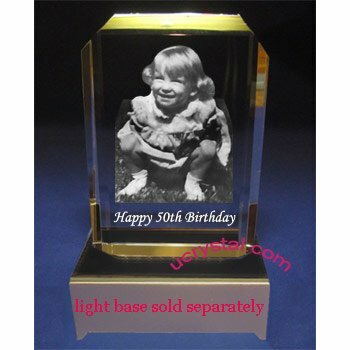 We have a large selection of custom laser engraved 2D or 3D photo crystals to meet all your needs. 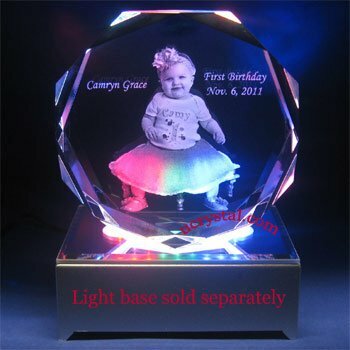 As with all crystal glass art or glass sculptures, lighting condition will greatly enhance the visual effects and improve the final laser engraved crystal. 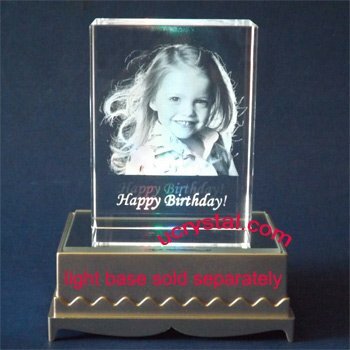 Adding a LED light base will make your personalized 2D or 3D photo crystal shine even brighter. Oval-shape, bevel edge without base. 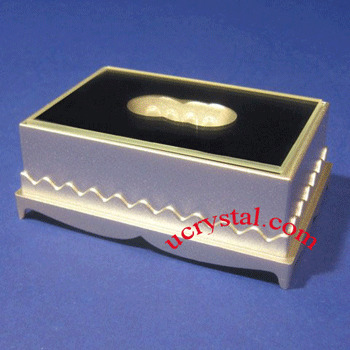 Size: 4” width x 3” height x 1” thickness.